Mum of Five Staying Sane: Our day out at ZSL Whipsnade Zoo. Lots to see and do. A lovely family day out and very tiring too! 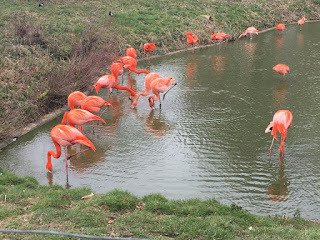 Our day out at ZSL Whipsnade Zoo. Lots to see and do. A lovely family day out and very tiring too! 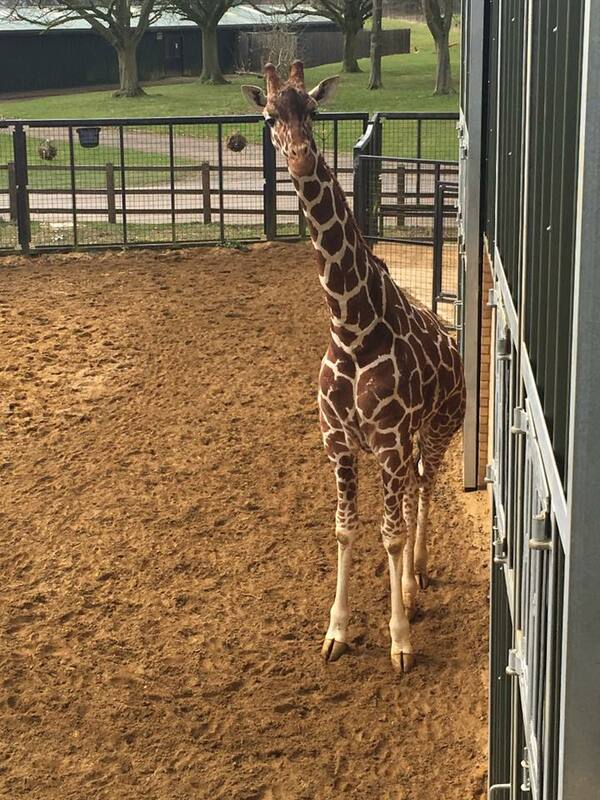 Yesterday we took a trip to ZSL Whipsnade Zoo. 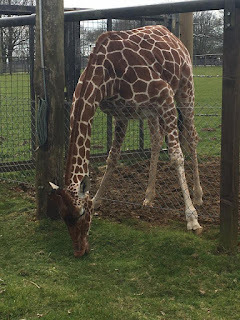 It was our first visit, usually we would visit a Zoo nearer to home but after checking out the Whipsnade website we decided that it looked like it was worth the journey as there looked like there was so much to see and do. The journey was approx. 1.5 hours and we had no 'Are we there yet' from the children which is always a good start to the day. They were excited to be going to the Zoo, we had been talking about our visit in the weeks leading up to the day and talked about what animals each child was looking forward to seeing. 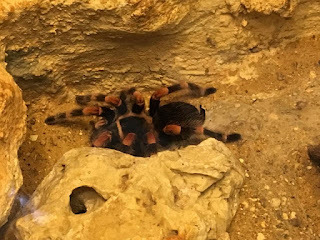 This was Thing 5's second visit to a zoo, he was 6 months old on his first visit so he didn't really experience it fully the first time. 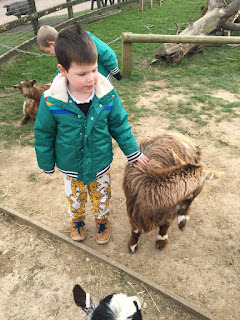 As we talked about the zoo visit he was worried that the animals would bite him! I kept reassuring him that the animals wouldn't be able to bite him but I was worried that we would get there and he would have a complete meltdown and not like it. I wasn't to worry though. As soon as we walked in the gates he was excited to see what animals we could find first. We walked through the lemur section and although they could climb up ropes and go overhead they were chilling out by their house and weren't overly active. Maybe if a lemur had jumped over his head things may have started off very differently!! 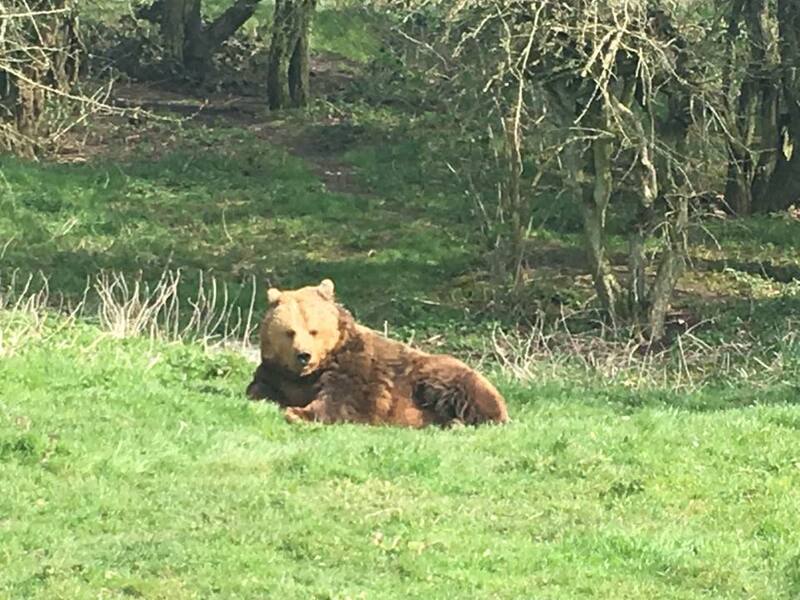 The bear was enjoying a chill in the warm sunshine! Not one of my favourite creatures but lots to see in the Discovery Centre! Thing 2 was in charge of the map and directed us all around the zoo. We saw the chimpanzees, bears and penguins before they started getting hungry already. We arrived soon after 11 and by 12 they were hungry so we stopped on a picnic bench by the penguins and fed the children as they were grumpy due to hunger and it was best to stop and refuel rather than try and carry on. Thing 4's favourite animal that we visited. He loved how close we got to the giraffes. Next we headed towards the rest of the zoo. Cheetahs, meerkats, lions, elephants, giraffes, zebras, sealions, hippos, rhinos and more. There were so many animals to see. 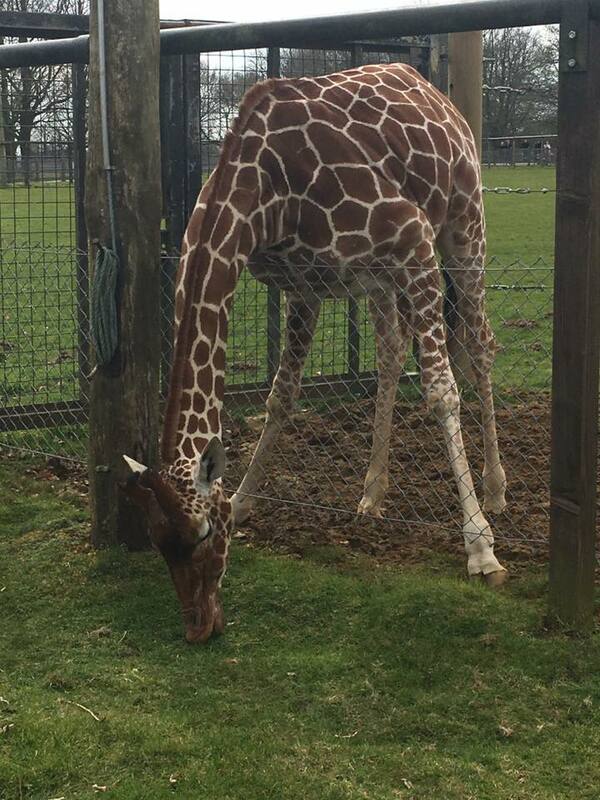 Thing 4 was so pleased to see the giraffes up close as he really wanted to see them. We spent a lot of time up on the viewing platform watching them. 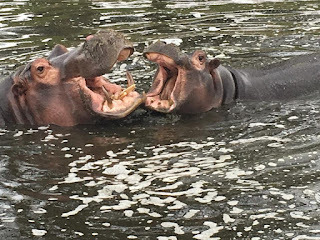 The hippos also provided a lot of entertainment in the pool outside and we stood there for quite a while watching them play and splash around. 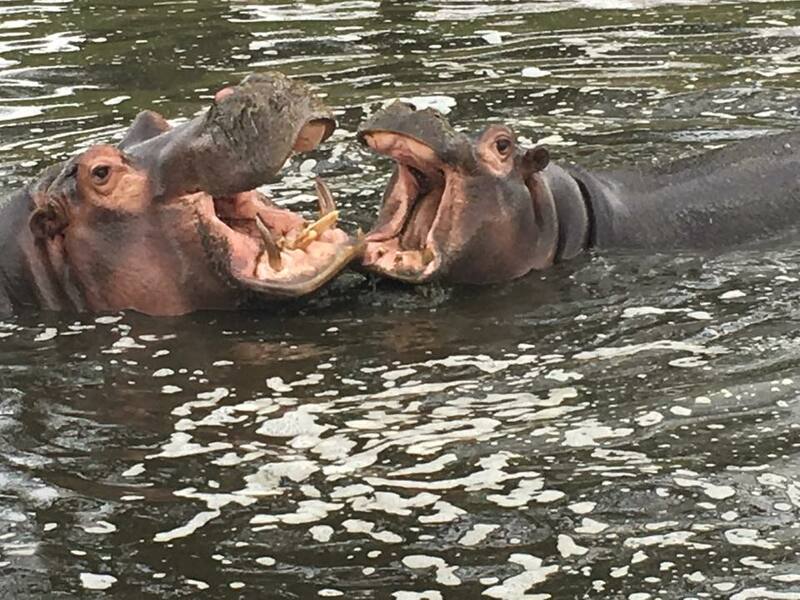 The hippos were having a fab time splashing around and playing in the Hippo pools. 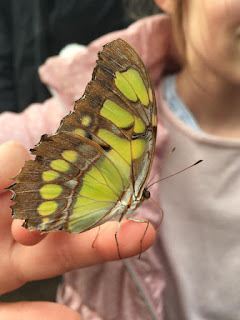 Next we walked through the Butterfly House. This was lovely there were butterflies flying everyone in a huge array of colours and sizes. Thing 3 held one for ages after it landed on her and Thing 4 had one land on his coat which he liked. 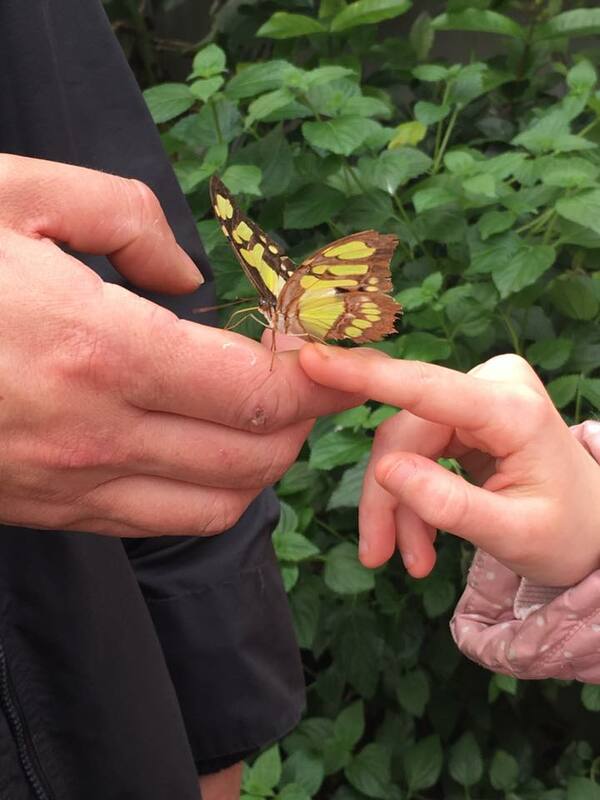 I loved how many butterflies there were to see and that they got to get up close with them and hold one too. Thing 3 made friends with this gorgeous butterfly. We stood for ages whilst she held it on her finger. Around 2.30 we put their names down for a play in the indoor play area situated in the Hullabazoo area, which also incorporates the farm and outdoor adventure play area, so they could run around and play whilst myself and the OH had a quick hot drink stop and a sit down! They got 50 minutes play which was just enough for them and us and then we headed off to the Jungle Express steam train for a ride around to see some more animals. 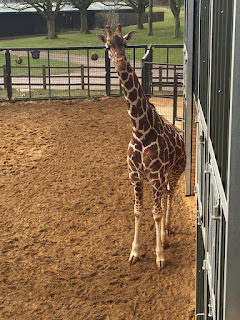 The train ride lasts about 15-20 minutes and you get a talk from one of the Whipsnade employees on the way around telling you lots of facts about the zoo and the animals. After the train ride there were a few more animals to see in the zoo and then we went back to the farm for a walk through to see the goats. The little ones liked stroking the goats and seeing the llamas, pigs, ponies and smaller animals such as chicks, guinea pigs and rabbits. They found it funny when a couple of the goats escaped from the goat walk, with a little help from a child I think! Thing 5 making friends with the goats in the Hullabazoo Farm. It was a lovely long day, we walked for ages. You can take your car in and drive around the zoo too but it was lovely to get about by foot, there was one area that you could drive around but couldn't walk but the train took us around that area instead. The children loved the day out, we took the pushchair for Thing 5 and we did need it. Lots of children had their scooters with them which is probably a better way for them to get about. Thing 4 did get tired too and did have a rest in the pushchair at one point. I would definitely recommend ZSL Whipsnade Zoo for a day out with the family. There was lots to see and do and the children thoroughly enjoyed their day. They are already asking to go back, Thing 5 said can we go tomorrow! 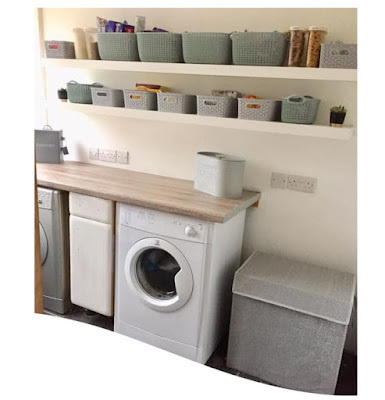 Possibly not that soon but definitely in the next few months hopefully. Entrance to the zoo costs £23.50 for adults (£25.90 including donation) and £17.00 for children aged 3-15 (£18.75 including donation). There is extra costs for the Jungle Express which was £4.50 per adult and £2 per child. We have decided to upgrade our visit to a ZSL annual family pass which gives unlimited entry to Whipsnade and London Zoo for a year. 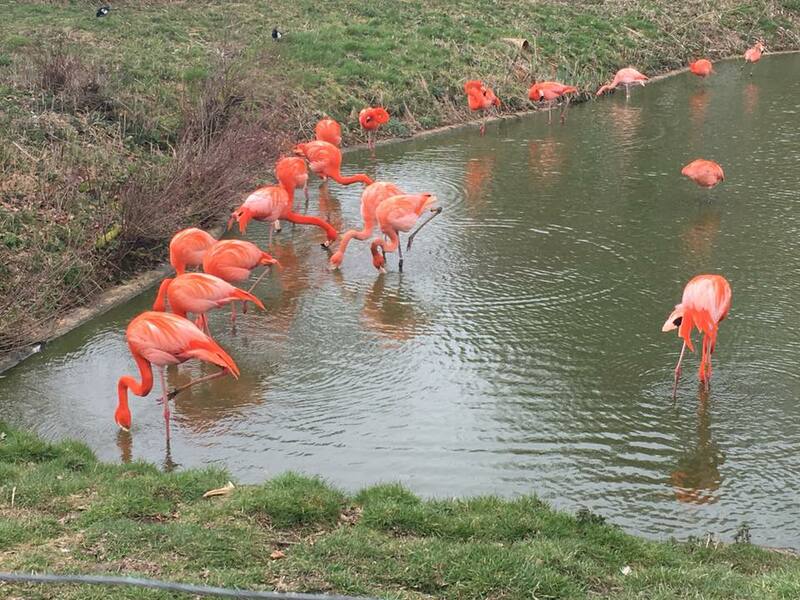 A family ticket covers 2 adults and up to 5 children, bonus points to ZSL Whipsnade/London for covering larger families with their annual passes! !